BROCKTON, Mass. — Established haunts make up the 2015 Northeastern Midget Association schedule, including a return to White Mountain Motorsports Park after an absence of many years and the season opener at Evans Mills Motorsports Park on May 23rd. As NEMA President Russ Stoehr puts the finishing touches on the final schedule, there are 12 races currently on the NEMA agenda while the NEMA Lites will make 12 stops in what will be the club’s 63rd consecutive season, making it New England’s oldest sanctioning body. There is a possibility additional races will be added to one or both schedules at a later date. 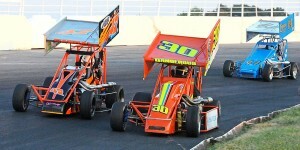 The Northeastern Midget Association heads to the famed Star Speedway in Epping, NH on Saturday night. It has been a favorite stop for the midgets since the 60’s, in fact Star has hosted more NEMA events than any other facility. Some of the greats have gotten their first NEMA victory at Star including Joey Coy, Mike Favulli and Billy Mann, as well as modern day drivers like Jeff Horn, Joey Payne, Bobby Seymour and Russ Stoehr. There will be plenty of drivers gunning for their first on Saturday night. Stoeher leads all active drivers with 10 wins at Star. The NEMA midgets bring a see-saw battle at the top of the point standings in both of their classes. The top spot has traded back and forth between young Avery Stoeher of Lakeville, MA and another Massachusetts South Shore native, Randy Cabral of Kingston. Cabral now leads by 13 points thanks to a runner-up finish last time out at Waterford. Stoehr could only muster a fourth place in that event and lost his grip on the points lead. The Northeastern Midget Association will be returning to Maine’s Wiscasset Speedway for the first time in 42 years. 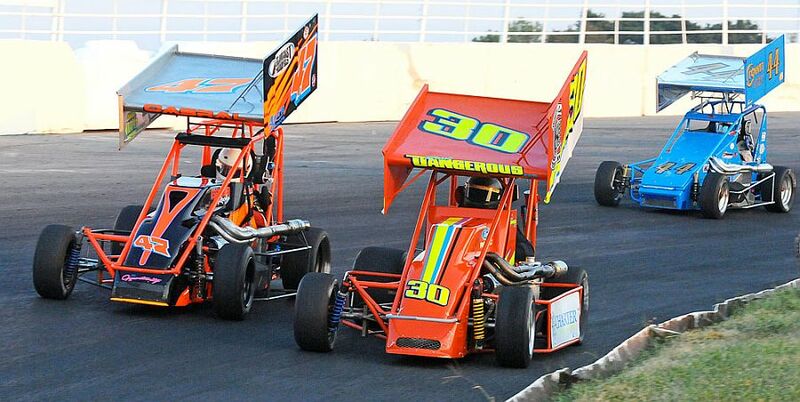 NEMA and the NEMA Lites will be part of the three eights-mile “NEMA Night” on Saturday, June 7 at 6:00pm. NEMA’s last and only visit to Wiscasset was July 1, 1972 when Butch Walsh, in the Connor 58, defeated Jerry Wall and Walt Gale. NEMA makes a habit of showing up and toppling existing track records, especially on the shorter ovals. The winged warriors are expected to set a blistering pace. Doug Coby’s 13.00 second lap at Evans Mills last week was a perfect example. Brockton, MA – Two-time defending Northeastern Midget Association champion Randy Cabral insists he doesn’t look at the point standings, not this early in the season anyway. He might not be looking but others are and that includes two-time winner John Zych Jr.
Only 13 points separate leader Cabral and Zych as NEMA visits Lee USA Speedway Friday night. Fact is, Todd Bertrand (-26), Russ Stoehr (-38) and Ian Cumens (-45) are locked into a tight battle atop the standings. .
Andy Barrows takes a 51-point bulge into the accompanying NEMA Lites event. Carl Medeiros Jr., who won twice at Lee last year, is determined to cut into that gap. Dan Cugini, Avery Stoehr and P.J. Stergois hold down spots three through five.